The Rod Hutchinson Cabrio Hybrid Brolly is based on the speed and convenience of a traditional brolly, in this case complete with a lowprofile mechanism which means maximum head space and our 20K H.H. ultra durable, ultra waterproof and ultra breathable fabric ensures maximum comfort and performance. Providing plenty of space for camping tables to put cookers, gas fridges and even ovens on, this also makes the ideal storage tent when you can not park your vehicle near the swim. 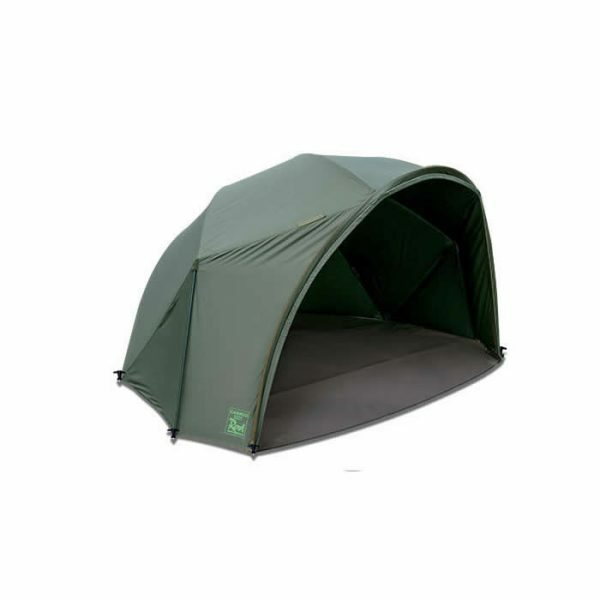 Designed to completely cover the Cabrio Bivvy, this overwrap creates a twin skin, which will eliminate any condensation inside the bivvy during winter whilst dramatically improving your shelter’s heat retention.